“No hot chocolate? !” The middle-aged French tourist snapped. “But what about the cheeldren? !” The young man behind the breakfast counter mumbled and shook his head apologetically. I watched as the Frenchman’s face contorted and scowled, breaking the trail of angry questions with a final “Never? !” before storming off. After the roughness of three days on Rinjani, the manicured, highly segregated world of Senggigi was almost a shock to the system. So too were the rude and self-important visitors who moaned and constantly barged in front at the small buffet table, as though in a great hurry to reach their slices of toast and cold meats. I couldn’t blame the hotel staff for having consistently dour faces as they served these guests. 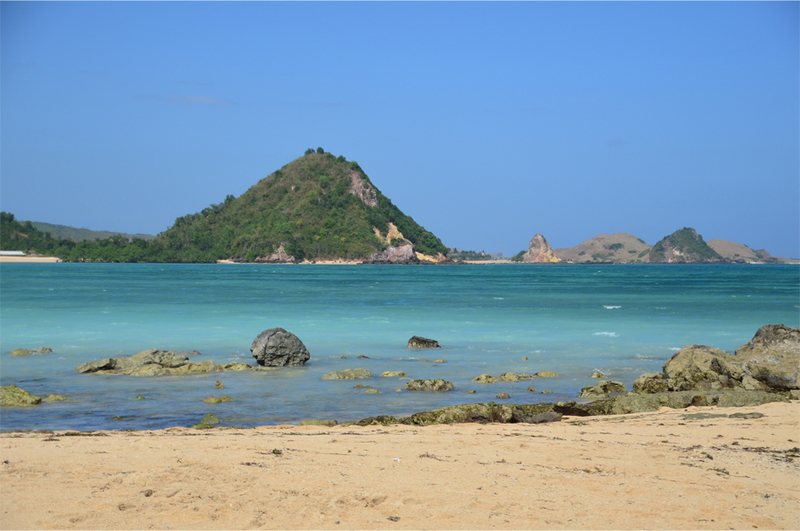 Thankfully, Senggigi was just a brief stopover – for a long-awaited hot shower and good night’s sleep – before we jumped aboard a minivan to Lombok’s less-trumpeted southern coast. 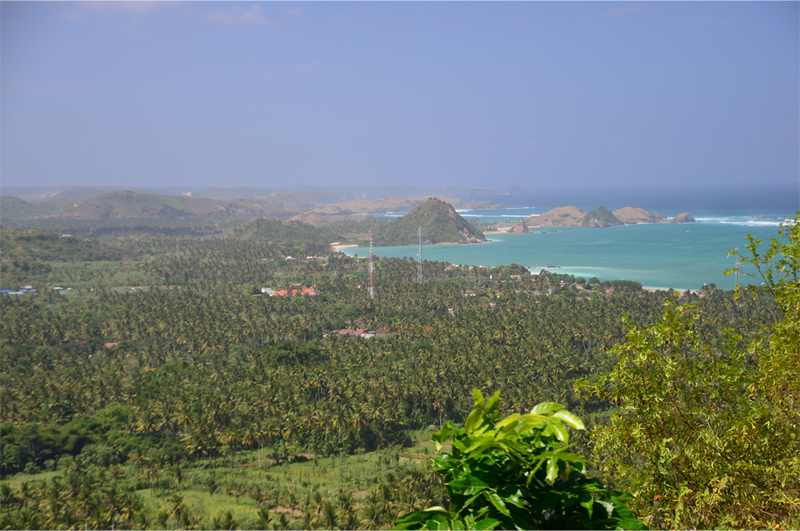 Kuta Lombok was a vision of what its Balinese cousin may have looked like in decades past. 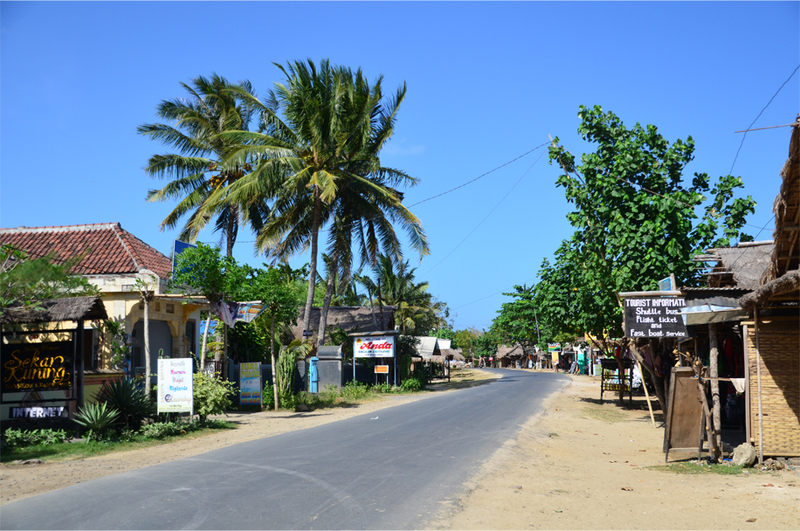 Stands of coconut palms soared over small hotels and homestays, their fronds waving in the wind, and the main road along the beach meandered between thatch-roofed warung – shacks housing small convenience stores, cafés, and shops selling beach clothes, textiles and wooden carvings. 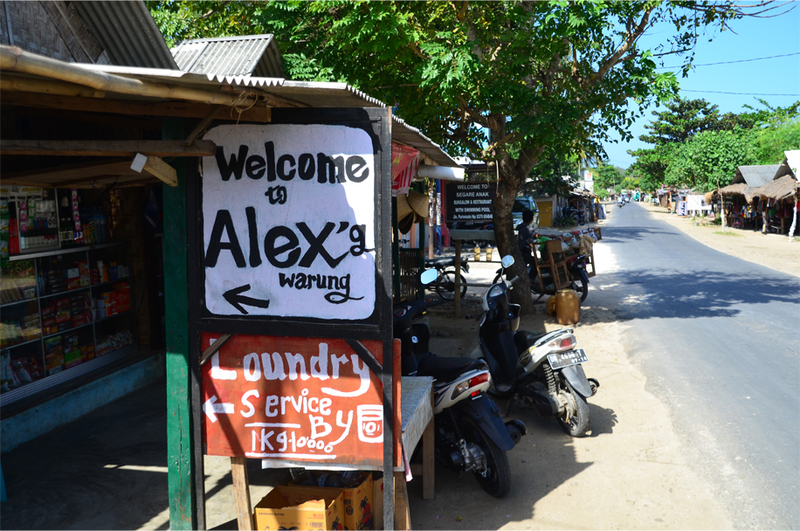 I drank in the laid-back, unpretentious atmosphere of this surfer’s haven, where the Indian Ocean foamed and lapped against two long pepper-sand beaches. We were struck by the colour of its azure waters, which turned to shades of milky turquoise as though straight from a painter’s brush. All in all it seemed a happy coexistence. Up and down the main strip, surfers and adventurous sun seekers mingled with the local staff, greeting each other with easy smiles and high-fives before sitting together beneath the comforting whirr of a ceiling fan. From our room we could hear the din of motorcycle engines and the muezzin’s call to buka puasa, breaking the Ramadan fast at sundown. By night the stars arrived on the scene, and Bama would point out the Southern Cross, a novelty for someone who had always lived in the Northern Hemisphere. As I stared up at the evening sky, the surf echoing softly in the distance, I couldn’t be happier to have Kuta as a base for the next three days. I’ve never been to that Kuta everyone knows about. But, having seen pictures of it, this one looks far more appealing! Thanks for sharing! Such a beautiful place! 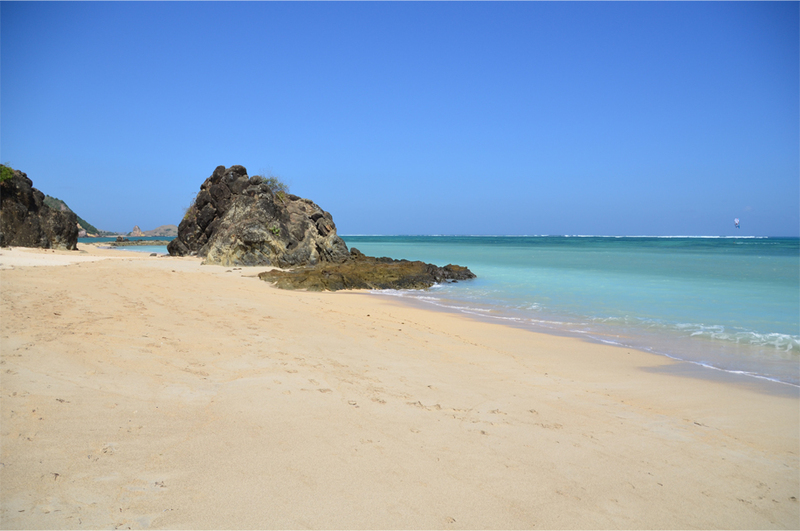 Certainly a perfect escape from the bustle (and attitudes) of the more touristy Kuta. Some people can really ruin a place…but then there are others that can appreciate and capture it so beautifully! Great photos. 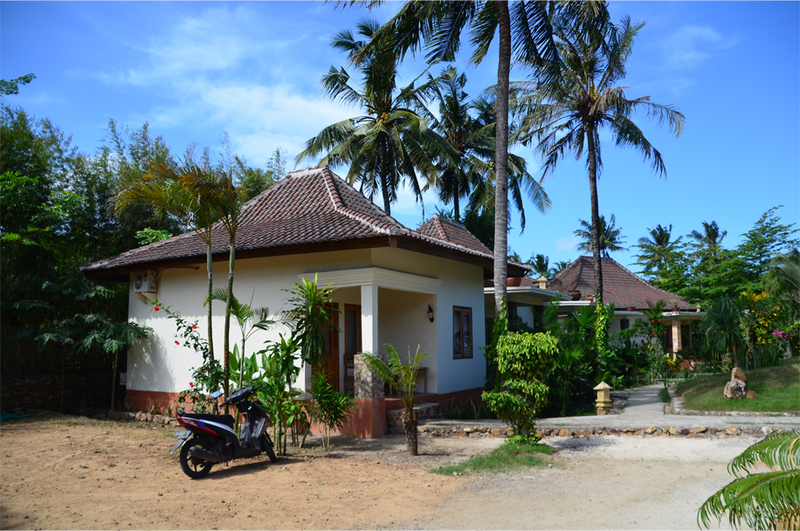 Thank you Grace – I couldn’t recommend this Kuta any more highly, it was just so friendly, easygoing and down-to-earth! 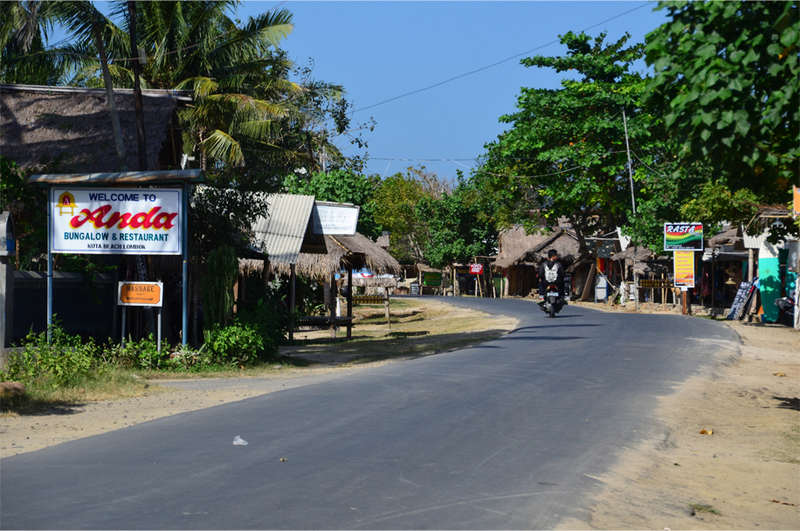 On top of that, I felt as though all the backpackers staying here were very respectful of the local culture. You’re welcome. 🙂 It’s amazing to think that this Kuta was just an island away from the infamous one in Bali. 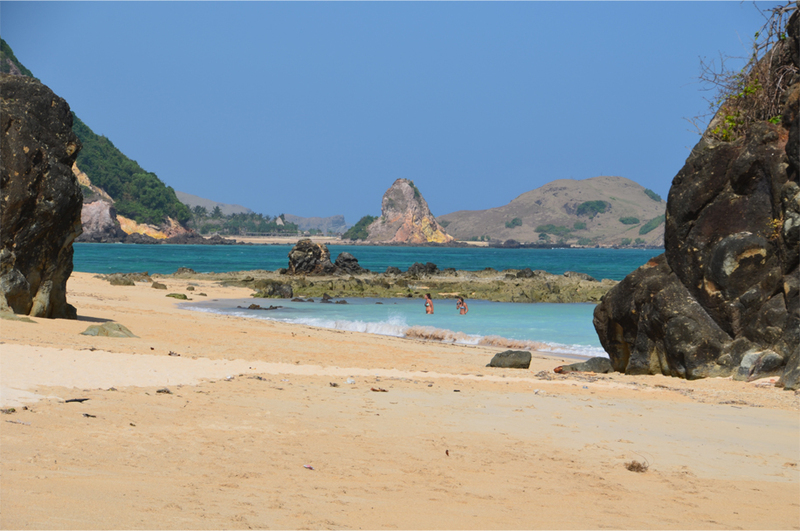 And from what I’ve heard, the beaches on Lombok were much better (and emptier) by comparison! Some people need to appreciate that when you go far away, trying new things is all part of the fun!! 🙂 looovely pictures James!! Thank you, Sophie!! 🙂 I couldn’t agree more, it sort of defeats the point of travelling, doesn’t it? We were horrified that the Frenchman insisted on making a scene out of such a minor “inconvenience”. It looks so similar to my village, near visakhapatnam, India. Thanks for reminding me of my village. I always enjoyed being their. You’re welcome, I’m happy it stirred up some fond memories. That beach looks heavenly! What a perfect way to unwind after your demanding hike. It was gorgeous – we couldn’t resist going in for a late afternoon dip. 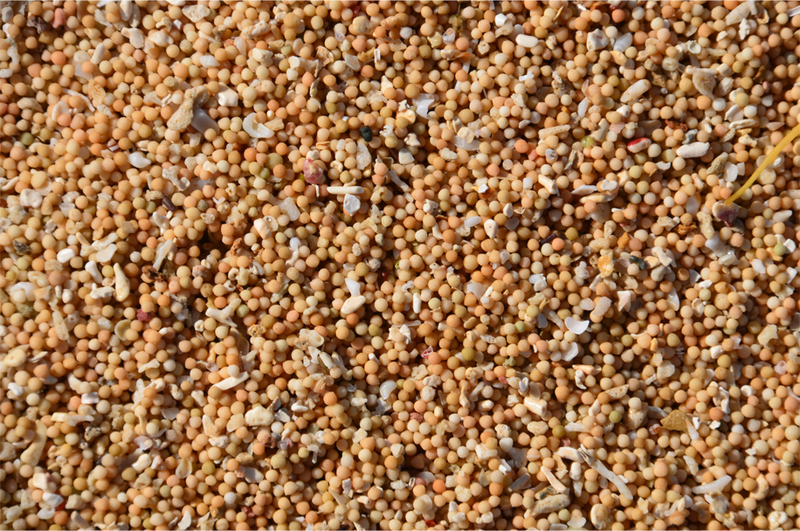 the sand is definitely something I have yet to step on – must feel like a thousand mini-massages on the soles, no? Or is it too coarse for a leisurely walk? When the airport was located in Mataram, thinking that not many visitor were prepared to take the long and exhaustive journey to visit this beautiful beach, I was sad. Now as the airport has been relocated and only take maybe 10 minutes to drive from the new airport to Kuta, I am worried that it is going to be devastated by massive developments like Bali’s Kuta had. You’re right, having the new airport so close is a real game-changer. I can only hope that any future developments will learn from Bali’s example… to turn Kuta Lombok into the next Nusa Dua would be a terrible mistake.